Making life better for people means making our laws work better for people. Strong laws are key to protecting our environment, making life fairer for families, and making sure that our economy works for everyone. We’re working every day to make our province a better place to live, work, and raise a family by making life more affordable, improving the services people count on, and creating good jobs in every part of the province. B.C. 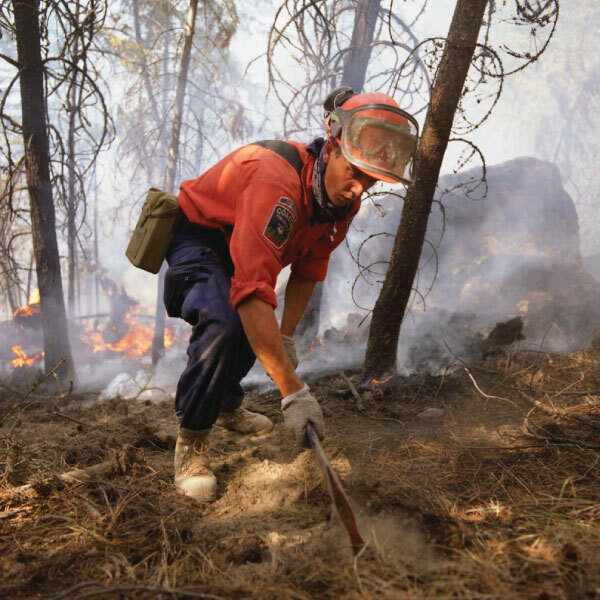 will support wildfire fighters, fire investigators and firefighters working for First Nations and other indigenous organizations suffering from work-related heart diseases, cancers and mental health disorders. 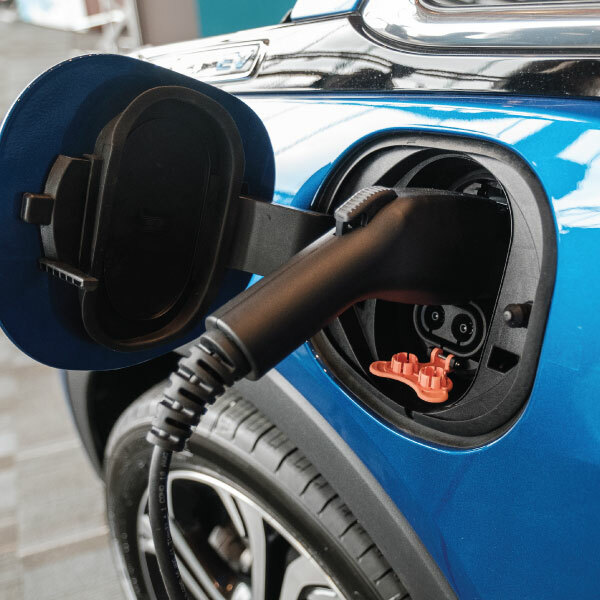 New legislation will help reduce climate pollution by phasing out gas-powered light- duty vehicles by 2040 and make ZEVs more available and affordable for British Columbians. 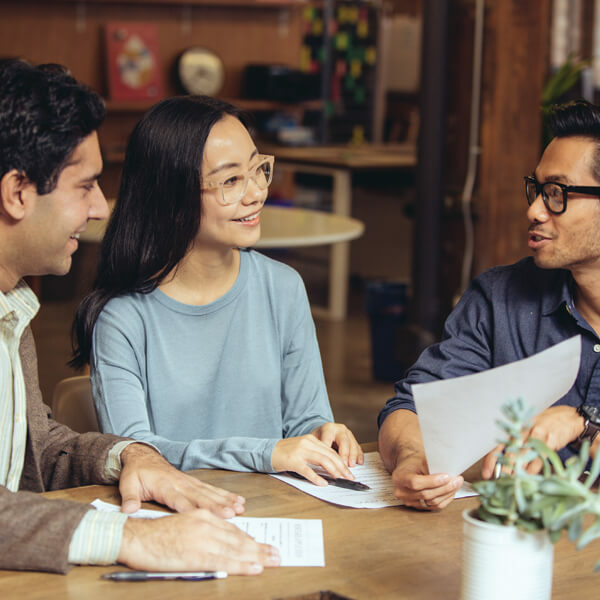 New legislation establishing the BC Financial Services Authority will more effectively protect people when they use financial services and boost oversight of the sector to support a strong, sustainable economy and make life better for people. B.C. will empower people to feel safer reporting drug labs and other nuisance properties linked to gun and gang violence and is giving authorities more powers to shut down those sites with the Community Safety Act (CSA). 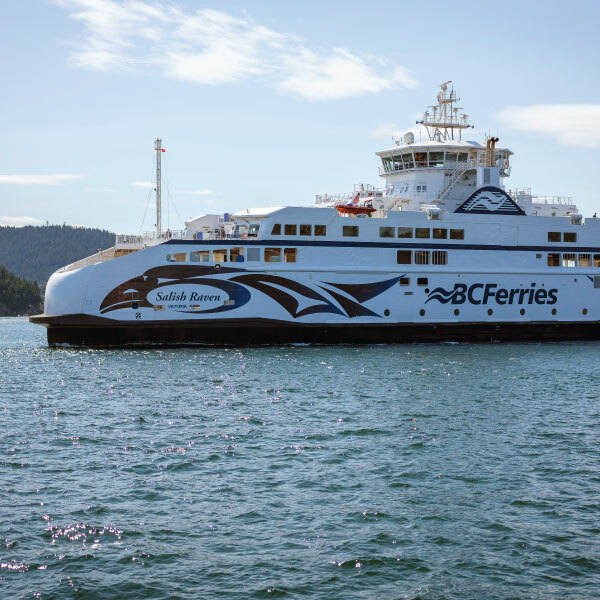 Amendments to the Coastal Ferry Act are intended to re-frame the model to better reflect the public interest and the view that ferry services are an integral part of the transportation network. 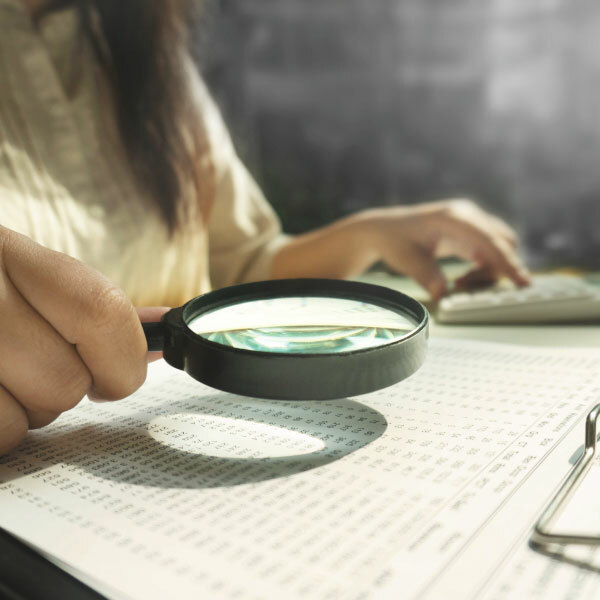 The amendments to the Business Corporations Act improve transparency by requiring private companies to hold accurate and up-to-date information about the true owners of their shares. 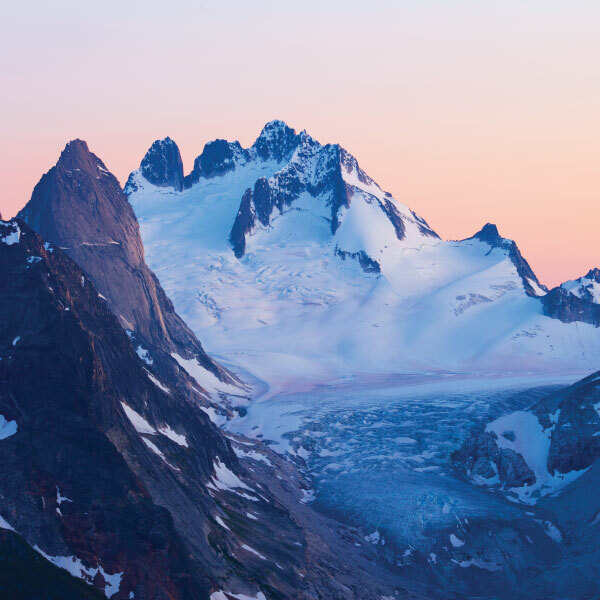 The Land Owner Transparency Act establishes a publicly accessible registry of beneficial ownership of real estate in B.C. – the first of its kind in the world. Information Management Act amendments further promote a culture of openness in the public service by making government’s requirement to record key decisions law. To make sure BC Hydro is working for people, a package of legislative amendments will implement recommendations from the first phase of government’s comprehensive BC Hydro review, including enhancing oversight of BC Hydro by the province’s independent energy regulator, the B.C. Utilities Commission (BCUC). 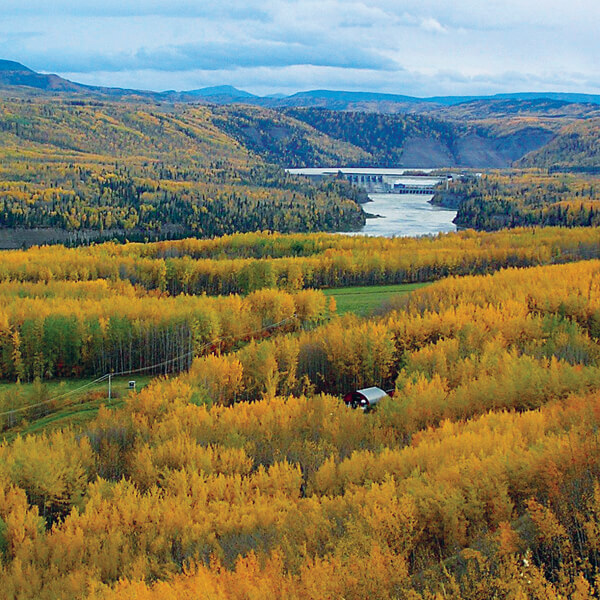 Amendments will restore public trust in how our forests and range lands are managed. The Medicare Protection Amendment Act, 2019 sets the stage for the elimination of MSP premiums on Jan. 1, 2020. 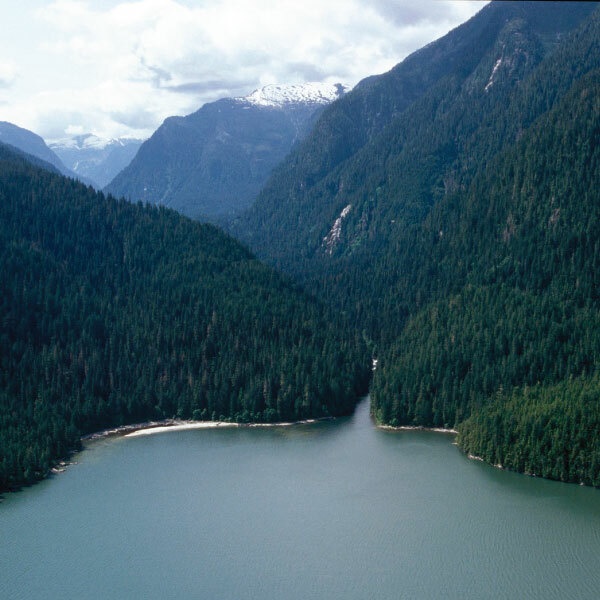 More land protected in B.C. 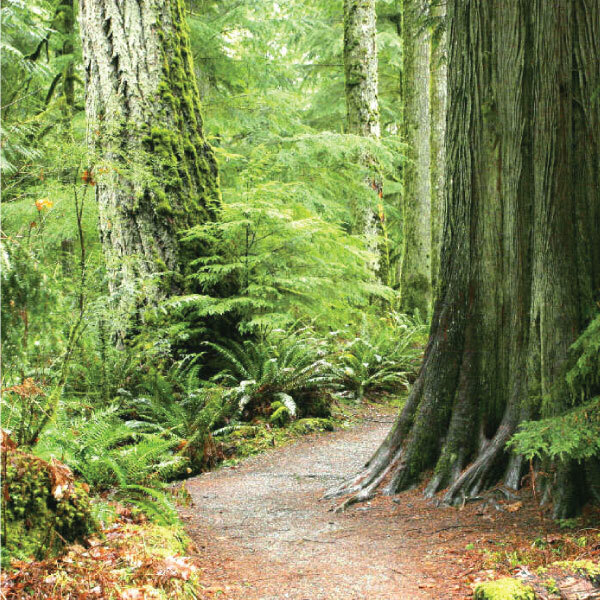 Amendments to the Protected Areas of British Columbia Act will add approximately 107 hectares to the parks and protected area system, including six Class A parks. The LNG Investment Fiscal Framework works to build a competitive LNG industry in B.C. that will generate thousands of new jobs for people, support local communities and meet our CleanBC climate action goals. Amendments to the Heritage Conservation Act strengthen protection for archeological sites and acts on government’s commitment to implement the United Nations Declaration on the Rights of Indigenous Peoples. The Attorney General Statutes Amendment Act, 2019 will make improvements to the Family Law Act and the Wills, Estates and Succession Act. The Consumer Financial Protection Action Plan will strengthen consumer protections for the provinces’ most vulnerable people and those who use high-cost credit products and services. British Columbia’s proposed Witness Security Act will encourage more people with knowledge of murders, drug trafficking and other gang-led crimes to share details with police—helping to de-stabilize gangs and support prosecutions. Changes to the Act mean will mean forest companies will now need approval from the minister before they dispose of or transfer a tenure agreement to another party. As a result, the minister will be able to refuse to approve the new arrangement if it is not in the public interest or put conditions on the approval. For years, through the control of the disposition of Crown tenures, major forest licensees have controlled the market for milling and forest tenure holdings. As a result, smaller operators like communities and First Nations found it harder to compete. The changes will help support a vibrant and diverse forest sector by preventing further concentration of harvesting rights. Amendments to the Workers Compensation Act will mean that wildfire fighters, fire investigators and firefighters working for First Nations and other indigenous organizations will gain easier access to workers’ compensation and support services for cancer, heart disease and mental health disorders that can arise from work conditions. The changes recognize that these particular occupations are more likely to suffer certain physical and mental health conditions and diseases. When diagnosed with one of these conditions and applying for workers’ compensation, there will no longer be a need to prove that it is work-related. The amendments expand on last year’s changes that covered urban firefighters. will mean that wildfire fighters, fire investigators and firefighters working for First Nations and other indigenous organizations will gain easier access to workers’ compensation and support services for cancer, heart disease and mental health disorders that can arise from work conditions. The changes recognize that these particular occupations are more likely to suffer certain physical and mental health conditions and diseases. When diagnosed with one of these conditions and applying for workers’ compensation, there will no longer be a need to prove that it is work-related. The amendments expand on last year’s changes that covered urban firefighters. The legislation will require all new light-duty vehicles to be zero-emission vehicles by 2040. This target will be met using a phased-in approach, with 10% of new light-duty vehicle sales by 2025, 30% by 2030 and 100% by 2040. In 2018 government launched a public survey on the ticket buying selling process and from their responses people told us loud and clear that they were frustrated and open to changes. 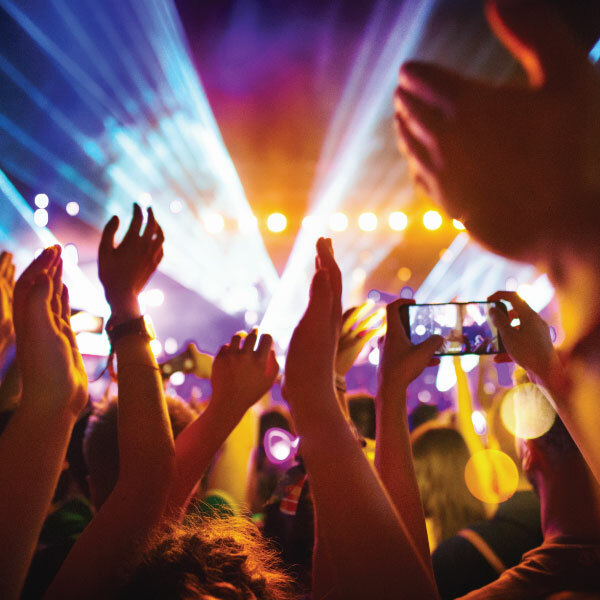 Simply put, fans want to be able to get tickets to live entertainment events without resorting to tickets sold on the secondary market at highly inflated prices. By eliminating ticket bots and mass-buying software, the new Ticket Sales Act will provide more consumer protections and fairer processes for people for when they buy tickets for events, online or at the ticket booth. The ticket sales act, if passed, will require: clear and prominent disclosure of prices; refund guarantees by secondary sellers and secondary ticketing platform operators; disclosure of key terms and conditions by primary and secondary sellers; ticket resellers to disclose they are secondary sellers; prohibition of the sale of speculative tickets that the seller does not possess or control; and the ability for civil action to be taken by consumers or ticket selling businesses if they feel they have suffered losses as the result of a contravention of the legislation. To make sure that B.C.’s financial services regulator is modern, effective and efficient the B.C. 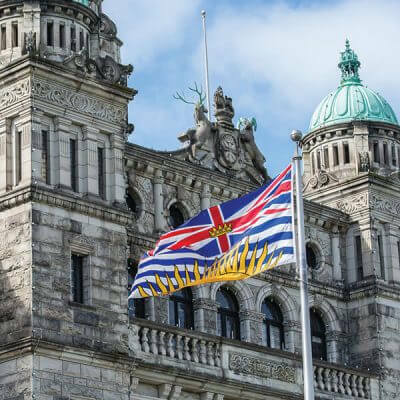 government is establishing a new independent Crown agency, the BC Financial Services Authority, to regulate credit unions, insurance and trust companies, pensions and mortgage brokers. Modernizing this key provincial regulator aligns B.C. with international best practices, brings it in line with other B.C. regulators and helps support a strong, sustainable economy. The new BC Financial Services Authority is anticipated to launch later this year. 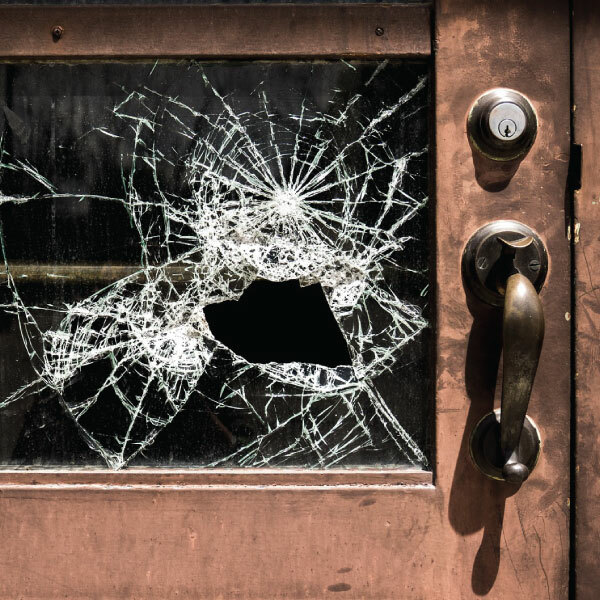 We’re giving neighbours of nuisance properties, like drug labs and those commonly linked to gun and gang activity, a safe and timely solution that holds owners accountable when dangerous and threatening activities regularly occur on their properties. The CSA will allow anyone to submit a confidential complaint about a nuisance property to a provincial government unit, and, as appropriate, this unit will investigate and collaborate with property owners and take escalating steps—up to ending tenancy agreements or closing a property for up to 90 days—enhancing public safety by forcing landlords to deal with chronic, illegal and dangerous behaviour on their properties. Specified nuisance or criminal activities include drug production and trafficking, possession of illegal firearms or explosives, after-hours sales of liquor, providing liquor or drugs to minors. People living near crack shacks and other dangerous nuisance properties have been waiting more than half a decade for this law to help them and the modernized CSA will address the current realities of organized crime in B.C., while ensuring fairness and efficiency. – British Columbians deserve a ferry model that puts people first and prioritizes public interest in the decision making process. This will be a requirement for the BC Ferries Commissioner when making decisions and regulating ferry services. – The Commissioner will able be explicitly required to consider the Province’s greenhouse gas emission targets to further this important public policy objective. – Other key features of this Bill include increasing the number of BC Ferry Authority directors appointed by government from two to four to bring a greater public interest perspective to the role of BC Ferries’ shareholders and requiring the BC Ferry Authority to set term limits when appointing directors to the BC Ferry Services Board to improve the oversight of BC Ferries. This Bill also intends to facilitate the participation of consumer advocates in BC Ferry Commissioner’s regulatory processes to consider the needs of people in the review of ferry services and will expand the definition of ‘executive’ at BC Ferries to include ‘vice presidents’ to provide greater transparency and oversight of executive compensation. To crack down on tax evasion and money laundering, private companies will now be required to hold accurate and up-to-date information about the true owners of their shares. 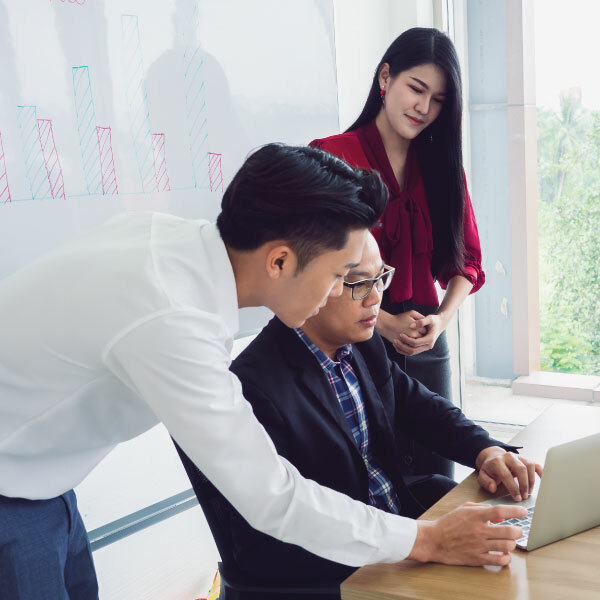 The private company’s transparency register must include registered owners, beneficial owners, and owners that have indirect control (such as through an intermediary corporation). Tax authorities, police and certain regulators will be able to access a private company’s transparency register as part of their work to crack down on white collar crime. This is part of the B.C. government’s work to end hidden ownership as part of its 30-point housing plan. 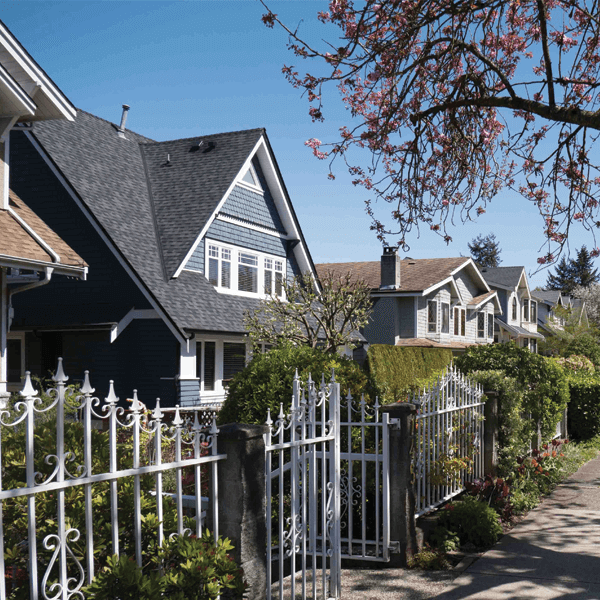 The new Land Owner Transparency Act will establish a public registry of beneficial owners of property in B.C., meaning true ownership of real estate will no longer be hidden. The Act will require corporations, trusts and partnerships that currently own land or that buy land to disclose their beneficial owners in the registry. Information on beneficial owners, including names and citizenship, will be publicly searchable through the registry. The registry will also help tax authorities and law enforcement crack down on tax evasion, tax fraud and money laundering. This is part of the B.C. government’s 30-point plan to improve housing affordability for people. Decisions made by government staff impact the lives of people throughout the province. With these changes, British Columbia becomes the first province to legislate how government decisions must be documented. The amendments also contain additional transparency and accountability enhancements. B.C.’s Chief Records Officer now has the necessary powers to review and evaluate ministries and government bodies for their compliance with the legislation. For too long, the BCUC was shut out of important decisions related to BC Hydro’s business at the expense of ratepayers. The best way to keep BC Hydro on the right financial path, while protecting the interests of customers is to enhance BCUC’s independent oversight of the Crown corporation. Amendments to the Clean Energy Act, the Utilities Commission Act and the Hydro Power and Authority Act will help keep rates affordable, clarify the responsibilities of the BCUC and protect taxpayers from the implications of past policy decisions. 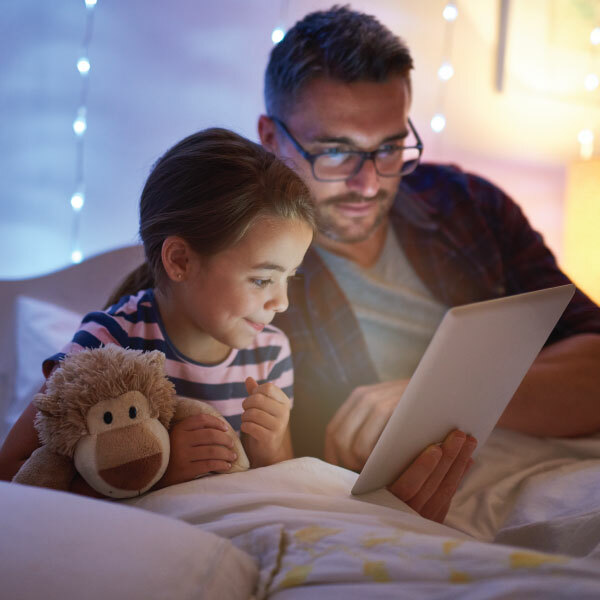 The amendments include changes that ensure that the BCUC, not government, reviews and approves BC Hydro’s Integrated Resource Plan – BC Hydro’s 20-year projection of electricity demand and its plans for meeting that demand. 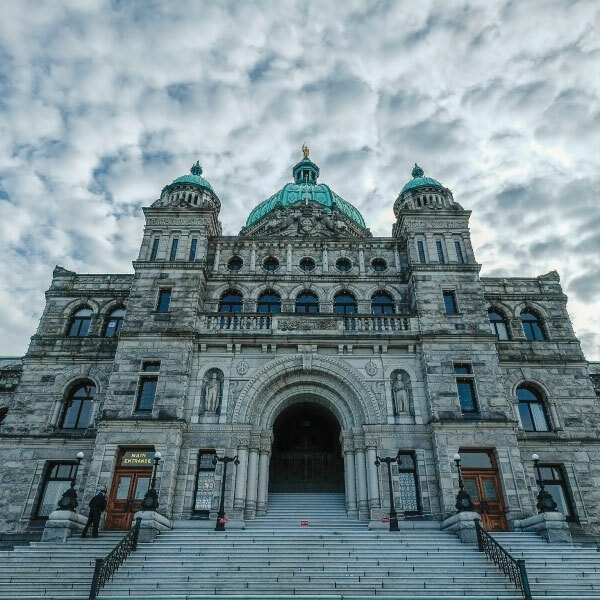 The legislative amendments are in addition to regulatory changes already implemented as part of the BC Hydro review to roll back past government directions that have restricted BCUC oversight. Changes will support the health and sustainability of B.C.’s forests and range lands while restoring public confidence in how these vital resources are managed. The changes include creating more frequent and reliable opportunities for public input, improving information sharing in forest planning, strengthening the minister’s ability to manage forest activity, expanding the definition of wildlife in the Act to help protect at-risk species, and improving and streamlining range use planning. 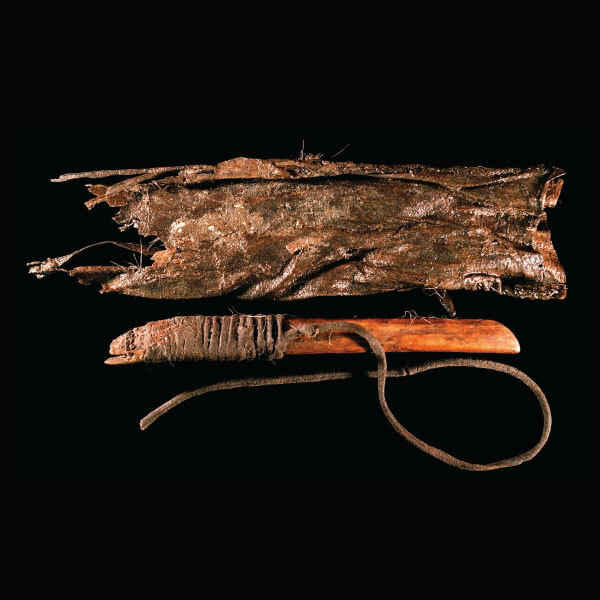 These initial changes respond to feedback and analyses received over the last decade from First Nations, the Forest Practices Board, the forest industry, the Union of B.C. Municipalities, and other resource groups. Public engagement will be launched in Spring 2019 on more substantive changes in future years. The act removes the sections of the Medicare Protection Act related to MSP premiums and premium assistance, meaning MSP beneficiaries are not required to pay any new premiums after Jan. 1, 2020. This legislation also amends provisions that give power to the Medical Services Commission. The changes mean the commission will no longer set and collect premiums after Jan. 1, 2020, but will continue with its other MSP responsibilities, including enrolling eligible residents in MSP and collecting unpaid premiums from previous billing cycles. – 35 hectares to Syringa Provincial Park near Castlegar. The amendments will also replace boundary descriptions with official plans for two ecological reserves (Gilnockie Creek and Trout Creek) and three Class A parks (Conkle Lake, Jewel Lake and Johnstone Creek). Official plans provide a clearer description of where the parks or protected area boundaries are located, leading to less chance of unintentional trespassing. This legislation brings together the final fiscal elements of the policy framework for natural gas development in B.C. – bringing long-term benefits to the province, securing thousands of well-paying jobs for British Columbians and working to uphold strong environmental protections. Once implemented, this legislation will deliver the fiscal setting needed for LNG Canada’s proposed $40-billion project in northern British Columbia – the largest private-sector investment in B.C.’s history. It is expected to create 10,000 construction jobs and up to 950 permanent jobs in the Kitimat processing terminal. Additionally, this project is on track to be the cleanest of its kind in the world, meaning it will fit within the greenhouse gas reduction targets of government’s CleanBC climate action plan. The Heritage Conservation Act has not been updated in over 20 years. The proposed changes will increase the effectiveness of the legislation in protecting heritage and archeological sites and objects. Under the proposed changes the ministry will have enhanced powers to refuse, amend, suspend and cancel permits, compliance and enforcement tools will be improved and people will be legally required to report discoveries of specified sites or objects with potential heritage value. A person may be required to obtain and pay for a heritage inspection or investigation prior to obtaining a permit to alter a heritage site in some circumstances. For example, if a person wants to alter a site to develop land, but there is little or no information about the site, they may be required to complete archeological studies to gather required information. 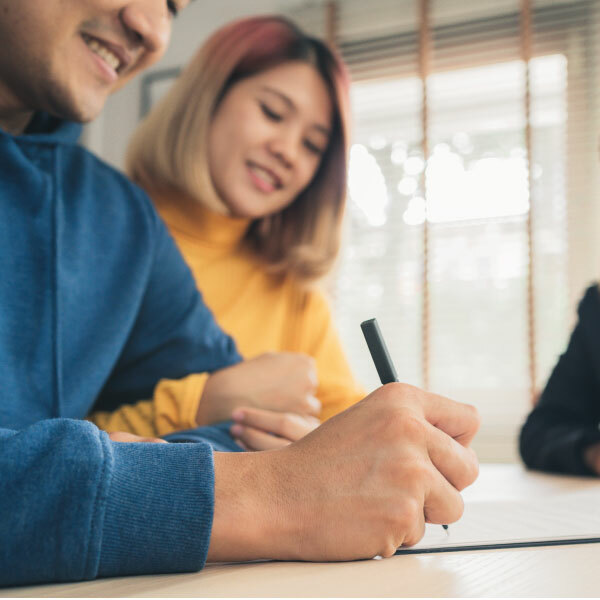 Changes to the Wills, Estates and Succession Act will support families by providing more flexibility in administering estates and clarifying the rules around beneficiaries who cannot be located. The amendments were developed from recommendations and suggestions from users of the Act. Proposed amendments to the Family Law Act will add the statutory authority needed to implement planned reforms to the provincial court family rules to improve family court processes and provide better access and outcomes for families who need assistance in resolving family law matters. Building on phase one, where tougher rules on payday loans and cheque-cashing fees were introduced, further protections and safeguards are now being implemented to ensure British Columbians who use high-cost credit products are better informed about borrowing money. The second phase of the Consumer Financial Protection Action Plan will create borrowers’ rights, set limits on the cost of bowing, prohibit certain fees and charges, require proper licensing for businesses, and improve transparency to ensure better understanding of the loans and fees. This will further enhance consumer financial education throughout the province. 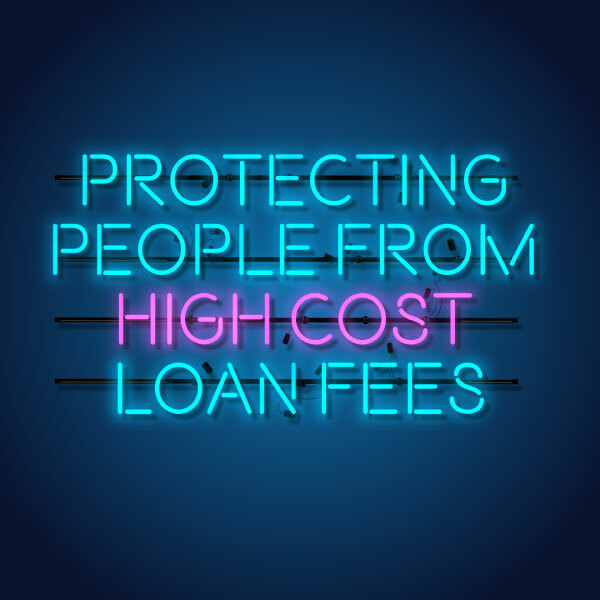 These regulations will help educate people and ensure that those who have no other choice but to seek high-cost loans will be protected. Most organized crime cases in B.C. hinge on testimony from an accused person’s former accomplices and informants. However, the application process for the federal program can lead to delays and stringent program requirements can cause low witness retention. These complications compromise B.C. 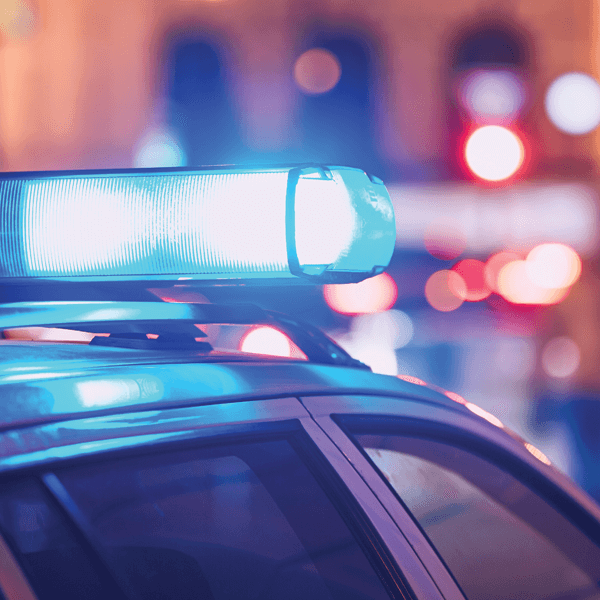 prosecutions and frustrate investigating police agencies that have often worked for months to secure witness testimony. 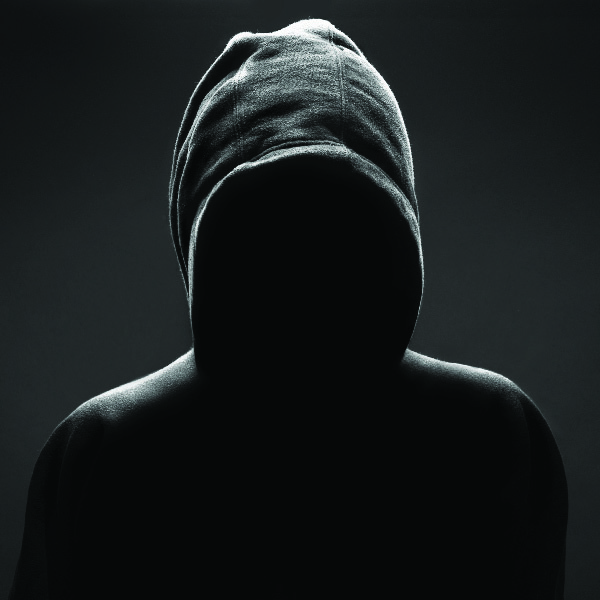 The proposed witness security act will establish a provincial program dedicated to securely managing witnesses and co-operating co-accused, complementing the existing federal program and facilitating treatment services for mental health challenges and addictions, name and identity changes, and job training. The act was developed to address the uniqueness of crime here in B.C. and will provide extra capacity to the police and Crown, which until now, have had to rely solely on the federal witness protection program. The Passenger Transportation Amendment Act will allow ride-hailing companies to enter the B.C. market next year, while putting priority on safety for passengers. 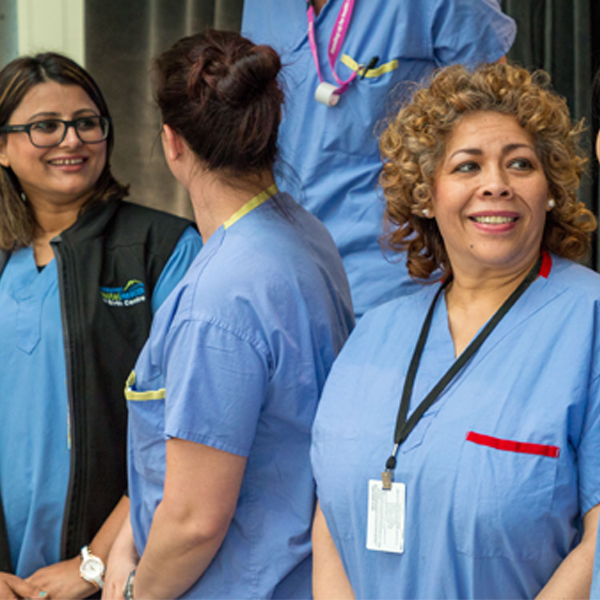 The proposed Health Sector Statues Repeal Act will strengthen employer protections to health-sector workers and remove the major financial incentive of contract flipping for companies to reduce or avoid unionized labour costs. The new Environmental Assessment Act will provide a clear and timely path for the approval of responsible resource projects, pursue reconciliation with B.C.’s Indigenous peoples, increase public engagement and transparency and deliver stronger environmental protections. 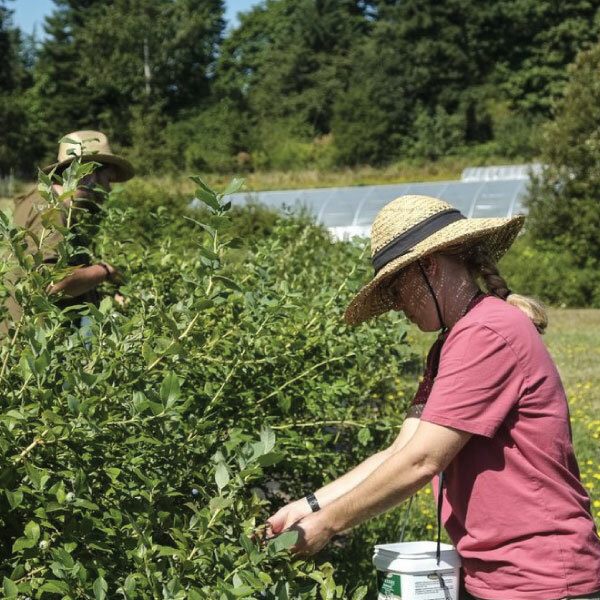 The Agricultural Land Commission Act will revitalize the ALC and the Agricultural Land Reserve, to ensure the Commission can easily and effectively fulfil their mandate, and to support farming and ranching throughout British Columbia. The Human Rights Code Amendment Act will re-establish a human rights commission for B.C. 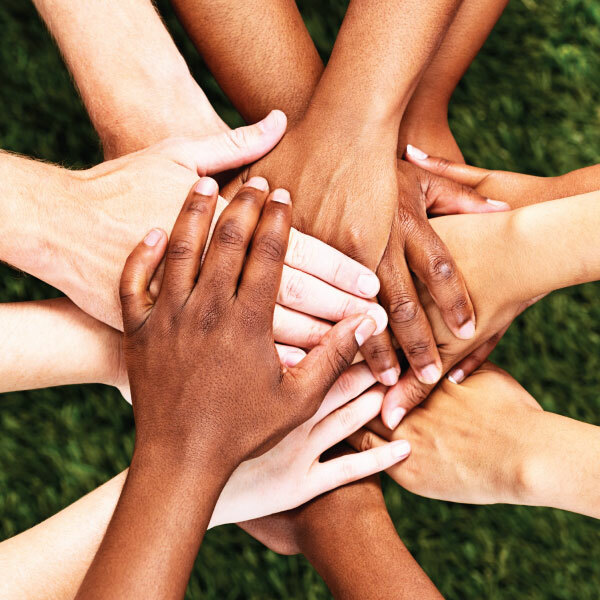 to promote and protect human rights for all British Columbians. The Act will allow the creation of an independent human rights commissioner that reports to the Legislative Assembly. The Recall and Initiative Amendment Act 2018 will make campaigns to recall members of the legislative assembly more fair by banning corporate and union donations, as well as creating new rules for recall advertising sponsors. The Lobbyist Registration Amendment Act will increase lobbying transparency and accountability in British Columbia. The proposed changes build on government’s continuing work to strengthen democracy for all British Columbians by increasing the public’s access to information on lobbying activity. The Temporary Foreign Worker Protection Act will enforce worker rights and better protect people coming to work in B.C. under the federal Temporary Foreign Worker Program. 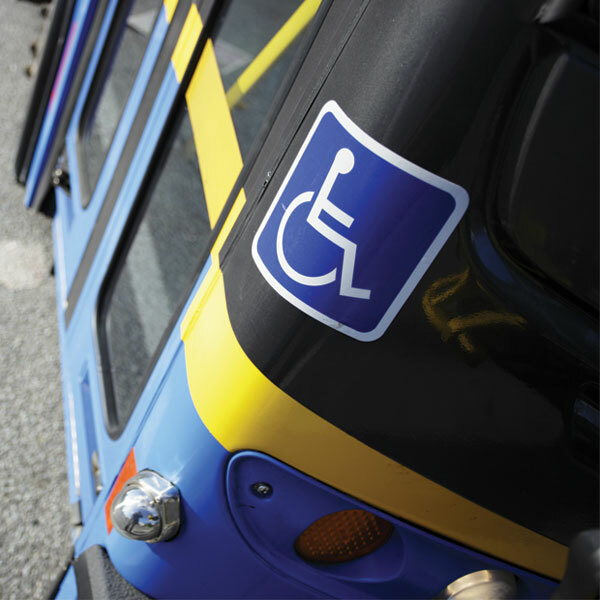 The amendment to the Parking Rights Tax will enable the region to continue investing in important transit and transportation improvements identified in the Mayors’ Council 10-year Vision for Metro Vancouver. 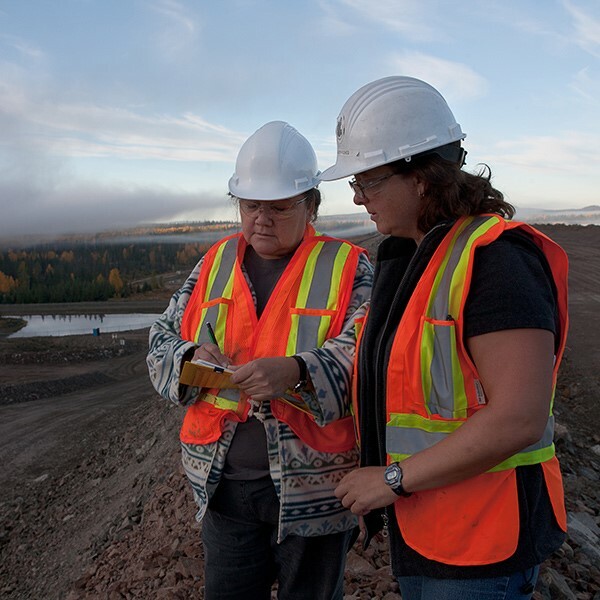 The Professional Governance Act and the Office of the Superintendent of Professional Governance will provide strengthened science-based public oversight of how B.C.’s natural resources are managed and make sure consistency and best practices are applied in the Professional Reliance model. The Speculation and Vacancy Tax Act aims to ensure those who use local services, without paying B.C. income taxes, contribute their fair share. The Employer Health Tax (EHT) will replace regressive Medical Service Plan (MSP) premiums. The Assessment Amendment Act, 2018 ensures major industrial operations aren’t affected by unintended tax increases following changes in an official community plan, sustaining their operations and the jobs they create. The Poverty Reduction Strategy Act sets targets and timelines for lifting thousands of people in B.C. out of poverty, and defines the scope of B.C.’s first Poverty Reduction Strategy, to be released in early 2019. 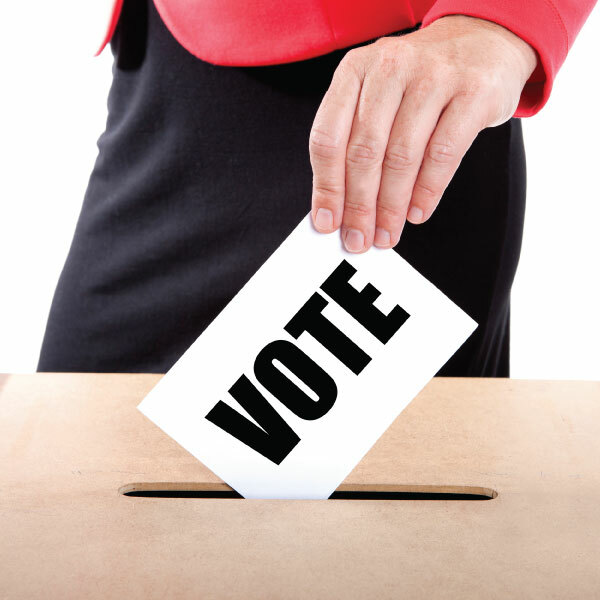 The Electoral Reform Referendum 2018 Amendment Act will ensure British Columbians have the opportunity to vote in a confirming referendum on electoral reform, if the majority vote in this fall’s referendum to change B.C.’s voting system. The proposed Health Sector Statues Repeal Act would rescind two existing acts –Bill 29 and Bill 94, 2003, in their entirety. Repealing bills 29 and 94 will improve job security and stability by strengthening the uncertain employment conditions workers have faced for years. In doing so, government will be better able to recruit and retain the skilled health-care professionals needed to support better continuity in patient care. These statutes stripped affected employees of the workplace protections and rights available to other workers in B.C. and paved the way for years of privatization, contracting out and layoffs. British Columbia’s best agricultural land will be better protected against current pressures like mega mansions and illegal fill under this new legislation. The Agricultural Land Commission Act will restore one zone for the entire ALR, in order to restore a fair experience for all farmers and ranchers producing on ALR land regardless of where they reside in B.C. The Act will also limit any new house sizes on ALR land to less than 500m2, in order to discourage speculative buyers, and to reign in the price of farmland within the ALR. The act will also feature the creation of new rules that crack down on the dumping of illegal fill like broken glass, drywall and construction waste that has impacted and eroded quality agrarian land around the province. The proposed changes to the Recall and Initiative Act will ban corporate and union contributions; limit individual British Columbians to contributing $1,200 per year to a petition proponent, a member of the legislative assembly (MLA) subject to a petition, or to any one third-party advertising sponsor; and creating a spending limit of $5,000 for third-party advertisers during a recall petition period. The $1,200 annual limit will apply to political contributions made to the MLA, the MLA’s political party or constituency association during an election. This means that individuals cannot give more than $1,200 annually for any combination of recall and political contributions. The proposed changes to the Lobbyist Registration Act increase the lobbying information available to the public to include details about those who will benefit directly from the lobbying effort, as well as protect those being lobbied from being placed in a conflict of interest with new rules about gifts and the reporting of political contributions. The changes also promote compliance and strengthen enforcement and will significantly improve the accuracy of the lobbyist registry. The amendments build on changes introduced last fall that implemented a two-year cooling-off period during which insiders cannot engage in lobbying. The Temporary Foreign Worker Protection Act will establish a requirement for foreign worker recruiters to be licenced, and for employers who recruit and hire temporary foreign workers to be registered with the Province. The legislation will increase provincial oversight and establish criteria for issuing, refusing, suspending or cancelling a license or registration of those recruiters and employers utilizing temporary foreign workers. Recruiters and employers that violate the legislation could lose their license or registration, and they will be subject to financial penalties and possibly jail time. The proposed legislation will permit government to recover, and return to workers, fees charged illegally to workers by recruiters to get jobs including where the fees are charged in other jurisdiction for work in B.C. The legislation will also establish a number of obligations on foreign worker recruiters and employers. By creating two registries, the provincial government will be able to hold foreign worker recruiters and employers accountable for their actions and bring in other ministries and agencies as needed when there is health, housing or other violations of B.C laws. The investments in the Mayors’ Council Ten-Year Vision are essential for people throughout the region, especially as Metro Vancouver is expecting over 1 million more residents in the next 25 years. It is important that we get moving on transit projects in Phase Two of the Vision, which is why we are doing things differently and working with the region to come up with its share of the funding. TransLink’s Phase Two investment plan forecasts approximately $10 million a year in new revenue from increases in the Parking Rights Tax. 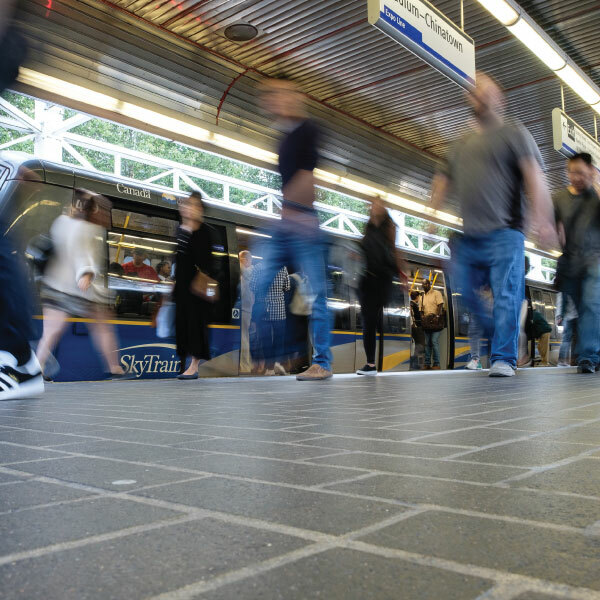 These funds will be part of the region’s share of financing Phase Two transit improvements that support expanded transportation and commuting options throughout Metro Vancouver. The Professional Governance Act makes several changes to how natural resource professions are governed in order to ensure best practices for professional governance are implemented. The Office of the Superintendent of Professional Governance will be established to ensure accountability, transparency, and the highest levels of professionalism are achieved consistently across professions. The proposed legislation, if approved, will bring government oversight of five QP regulators under the Office and set consistent governance standards across the professions. The proposed Office will have the mandate and authority to ensure professional regulators are acting in the public interest in their oversight of professionals. The Speculation and Vacancy Tax Act will help address the housing crisis in B.C. and help make life more affordable for people. By levying the highest tax rate on foreign owners and satellite families, the new tax targets those with limited social and economic ties to the province. Ensuring the majority of B.C. homeowners will not pay the tax. For years, people in B.C. have had to pay increasingly expensive and unfair medical premiums. The Employer Health Tax (EHT) will replace regressive Medical Service Plan (MSP) premiums. Eliminating MSP premiums will save individuals up to $900 per year, and families up to $1,800 per year. Exemption amounts have been set so that the majority of small businesses and non-profits won’t pay the EHT. The Assessment Amendment Act, 2018 protects community-sustaining jobs and supports local economies through changes to how BC Assessment values major industrial properties (Class 4 under the Assessment Act). 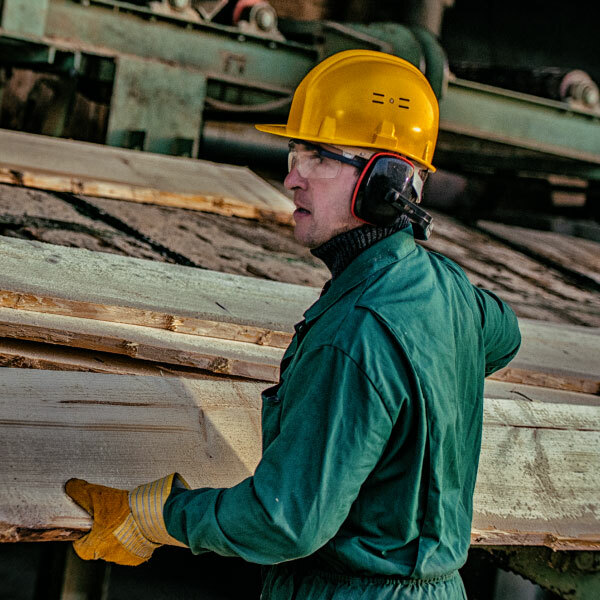 Major industry creates prosperity throughout the province, whether in lumber and pulp mills, mines and smelters, large product manufacturers or other similar operations. These changes will affect the valuation for properties where the value of active industrial facilities are affected by an official community plan change. Too many British Columbians live in poverty, and as of 2016, there were 557,000 people in B.C. struggling to get by — 99,000 of those were children. The Poverty Reduction Strategy Act commits government to reducing B.C.’s overall poverty rate by 25% and child poverty rate by 50% over the next five years. The Act ensures that government is held accountable through annual progress reports and requires that the Strategy focuses on key issues faced by people living in poverty including housing, education, employment, income supports and social inclusion. It also requires the establishment of an independent advisory committee that will represent the breadth and depth of personal and professional experiences of poverty in B.C. This legislation is shaped by the experiences and voices of more than 8,500 people who took part in a broad public engagement on poverty from Nov. 2017 – Mar. 2018. It will be up to British Columbians to decide whether to change our province’s voting system—and it should also be up to British Columbians to decide whether to keep a new voting system after they’ve tried it. By legislating a confirming referendum after two general election cycles, our government is giving voters the option to revert to the previous voting system after an opportunity to actually experience both systems. The amendments also require the second referendum to be held within 13 months of the second general election in which the proportional representation system is used. This precise timeframe provides certainty for voters as to when the second referendum would be held, rather than leaving the timing open-ended. The Protection of Public Participation Act will address the issue of strategic lawsuits against public participation (known as SLAPP) that prevent or limit freedom of expression on matters of public interest. The Climate Change Accountability Act will replace the Greenhouse Gas Reduction Targets Act and sets new legislated targets of a 40% reduction in carbon emissions from 2007 levels by 2030, and a 60% reduction from 2007 levels by 2040. 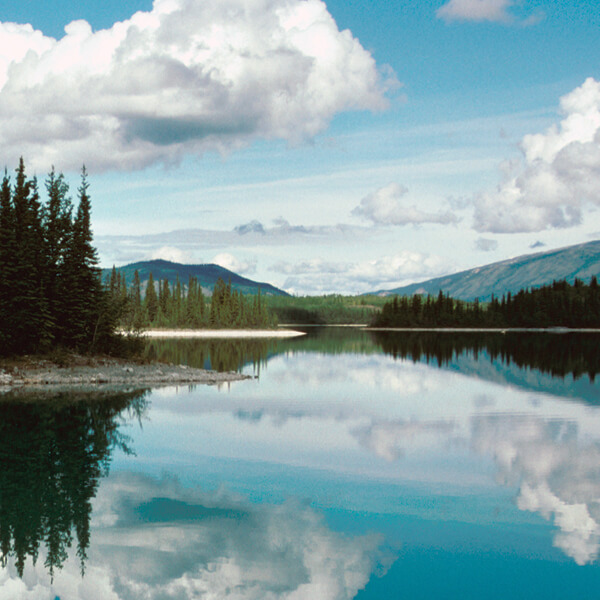 Proposed amendments to the Protected Areas of British Columbia Act include the renaming of three provincial parks as part of reconciliation efforts with Indigenous peoples. 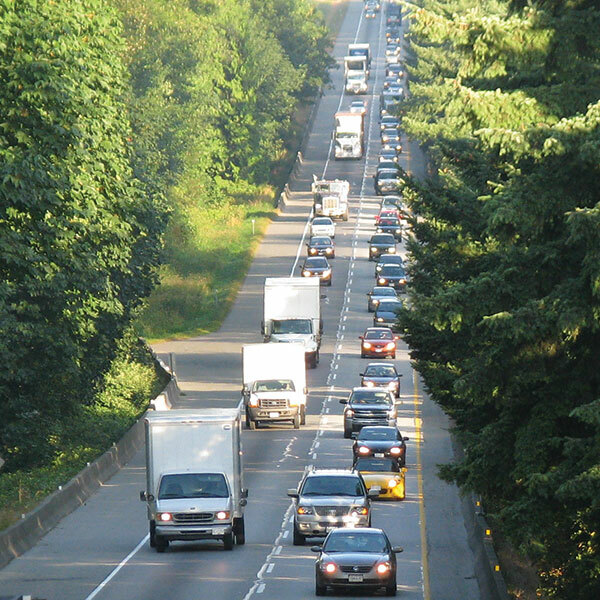 The South Coast British Columbia Transportation Authority Amendment Act will better position TransLink to implement improvements to roads and cycling, as well as pedestrian and public-transit infrastructure. B.C. will increase training for law enforcement, and will toughen provincial regulations to give police more tools to remove drug-affected drivers from the road and deter drug-affected driving. Regulation of legalized cannabis in B.C. 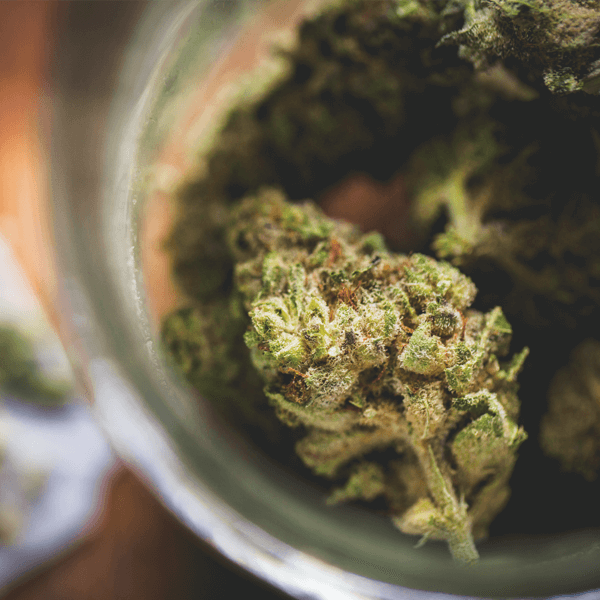 The proposed Cannabis Control and Licensing Act is guided by the Province’s priorities of protecting children and youth, promoting health and safety, keeping the criminal element out of cannabis, keeping B.C. roads safe, and supporting economic development. The Voluntary Blood Donations Act will help preserve the integrity of Canada’s public blood and plasma collection system by preventing payment for blood and plasma collection in B.C. The Pill Press and Related Equipment Control Act will restrict ownership, possession and use of equipment that can be used to make illicit drugs. 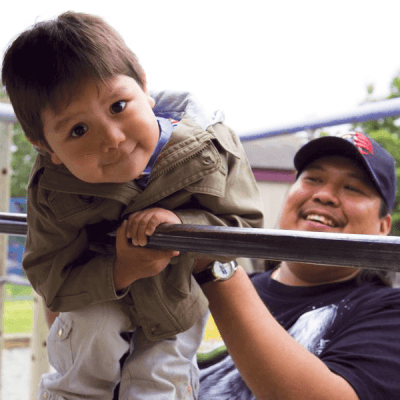 Proposed changes to the Child, Family and Community Service Act will increase involvement of Indigenous communities in child-welfare decisions to help keep their children out of care, safe in their home communities and connected to their cultures. This information collected by way of the Local Government Statutes Amendment Act will assist with community planning and help the provincial government target resources where they are needed most. 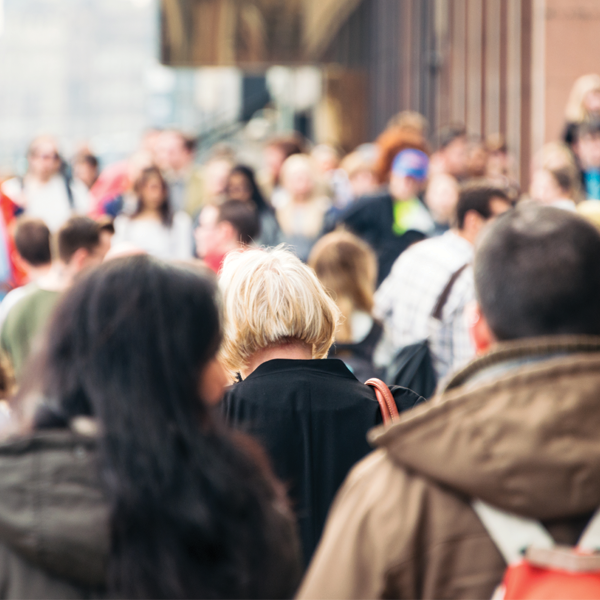 The Local Government Statutes Amendment Act offers a powerful tool for local governments to help ensure a healthy rental supply for people in their communities. 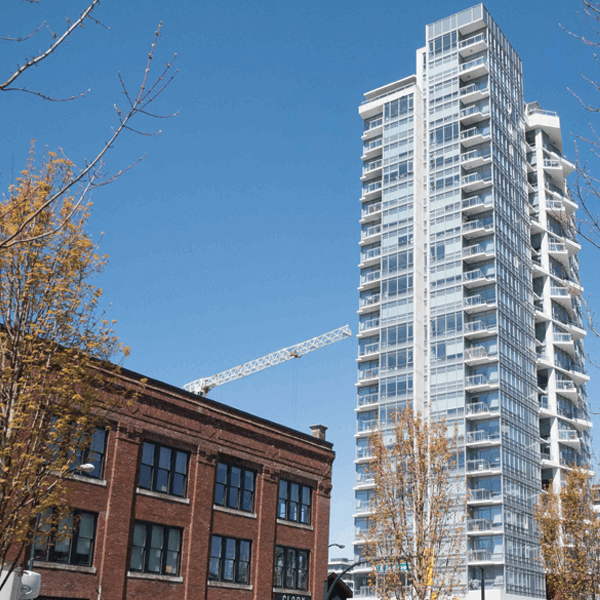 Amendments to the Real Estate Development Marketing Act require real estate developers to collect and report information on pre-sale condo assignments to ensure people are paying the appropriate taxes when these contracts are assigned. The Tenancy Statutes Amendment Act improves security for owners of manufactured homes and people who live in rental housing. Ensuring fair access to public health care in B.C. Clear rules around extra billing for medical services have been established with the full implementation of the Medicare Protection Amendment Act. Workers in B.C. will soon have more flexible maternity and parental leaves, better supports for when their children die or go missing, and the ability to take more time off to support terminally ill family members thanks to amendments to the Employment Standards Act. First responders, sheriffs and correctional officers put themselves on the line to protect the public and help people in need. We are changing the law to support them when they experience post-traumatic stress disorder (PTSD) and other mental illnesses as a result of facing trauma in the work they do. People need to know that their loved ones are safe when they leave them in the care of other people. 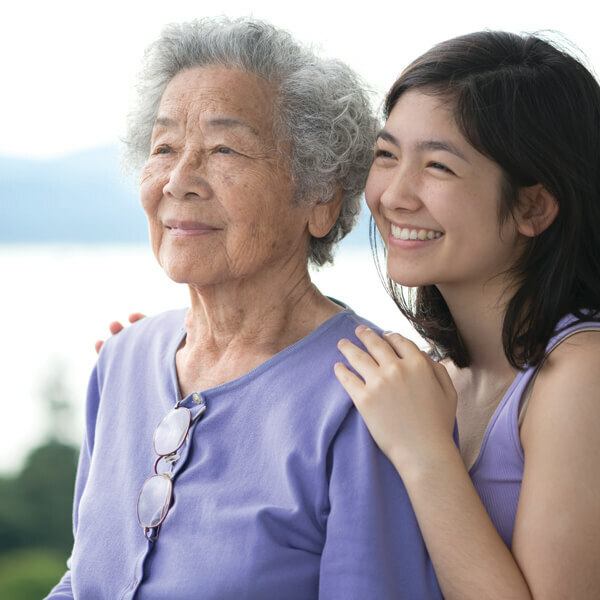 Improvements to the Community Care and Assisted Living Act will give people more information about the health and safety record of community-care facilities, including child-care and residential-care facilities. The Energy, Mines and Petroleum Resources Statutes Amendment Act will improve the restoration of orphaned well sites in B.C. and limit the potential of orphan sites going forward. 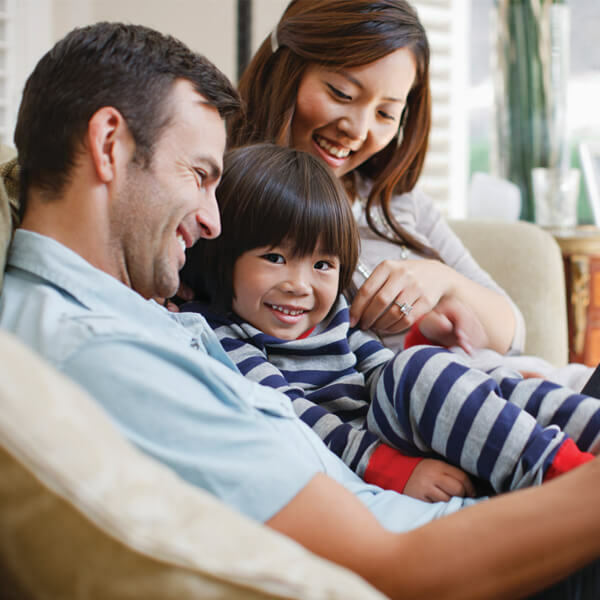 Proposed amendments to the Family Maintenance Enforcement Program (FMEP) will ensure families and children who are entitled to child support and spousal support receive payments. Amendments to the Securities Act will give the Investment Industry Regulatory Organization of Canada (IIROC) and the Mutual Fund Dealers Association (MFDA) the ability to enforce penalties as court orders against investment dealers who wrong investors. Amendments to the Public Service Act will provide oversight to ensure the B.C. Public Service Agency’s practices for just-cause terminations are consistent with government policies and standards. Amendments to the Health Professions Act set the stage for the provincial nursing colleges to amalgamate, providing greater consistency for the profession and one point of contact for patients and partners. 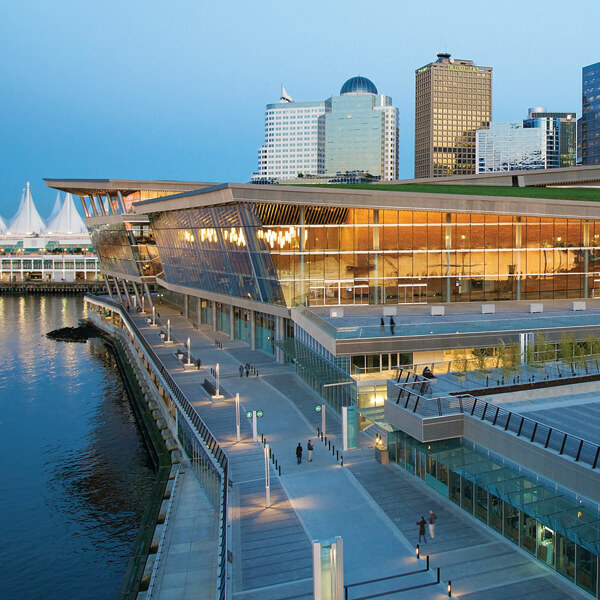 Bringing more hearings and conferences to B.C. By updating the International Commercial Arbitration Act (ICAA) to align with accepted international standards, B.C. will enhance its standing as an arbitration-friendly jurisdiction to domestic and international parties. British Columbians’ right to freely participate in debating matters of public interest – without fear of facing unfair litigation and associated costs – will be better protected under this new legislation. The Protection of Public Participation Act will safeguard people from strategic lawsuits against public participation that limit or prevent the expression of individuals’ or groups’ points of view on matters of public interest. A key feature is an expedited process by which a defendant may apply to the court to dismiss a lawsuit on the basis that it impinges on the defendant’s ability to speak freely on a matter of public interest. If the court so determined, it would dismiss the lawsuit, unless the plaintiff could satisfy the court that the harm the plaintiff likely would suffer as a result of that free speech would outweigh the public interest in protecting it. The act would further protect public participation by allowing the court to fully indemnify defendants for costs. The Climate Change Accountability Act will be the foundation of a renewed climate action strategy, expected in fall 2018, to be developed in consultation with the public and the Climate Solutions and Clean Growth Advisory Council. Lowering greenhouse gas emissions will lead to new jobs and a more sustainable economy for the future, as well as making life more affordable for British Columbians now. 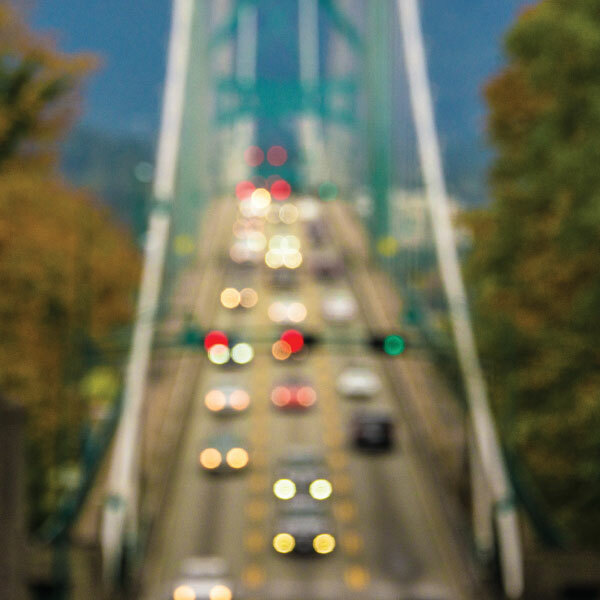 The Mayors’ Council 10-Year Vision for improved transportation in Metro Vancouver will provide much-needed transit, road, cycling and pedestrian improvements throughout the region. The Province is committed to funding 40% of the capital costs of the 10-Year Vision, and to helping the region to come up with its share of the funding through a number of measures. As part of this support, the Province has introduced the South Coast British Columbia Transportation Authority Amendment Act to act on one of the Mayors’ priority requests – providing the authority to TransLink to levy a development cost charge on new construction in the region. With this authority, TransLink is better positioned to deliver the Mayors’ 10-Year Vision, which will bring major service and capacity upgrades to Metro Vancouver’s public transportation network so people can spend less time in traffic, and more time with their friends and family. Motor Vehicle Act amendments will address concerns about the effects on road safety of Canada’s legalization of non-medical cannabis. The first phase of related amendments will create a zero-tolerance restriction for the presence of a prescribed drug, THC (the active ingredient in cannabis), for drivers in the Graduated Licensing Program. As well, the changes provide grounds for police to serve a 90-day Administrative Driving Prohibition on a drug-affected driver. 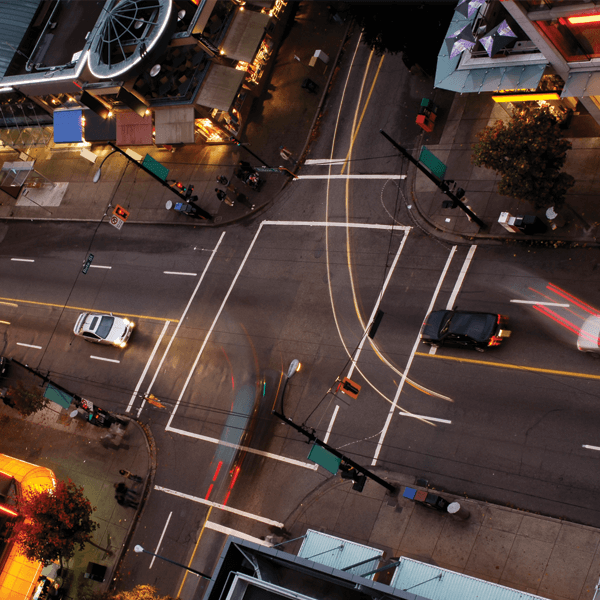 Minor changes to the Motor Vehicle Act will support the expansion of B.C.’s Intersection Safety Camera (ISC) program. As announced March 8, 2018, the program, which currently tickets vehicles that run red lights at ISC-enabled intersections, will expand to identify and ticket the registered owners of vehicles that speed through certain ISC-enabled intersections where a high number of speed-related crashes occur. 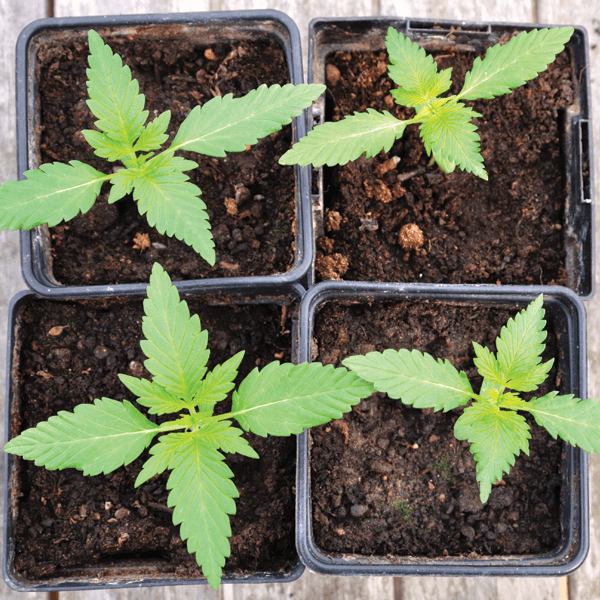 To ensure the Province is prepared for the federal legalization of non-medical cannabis, the proposed Cannabis Control and Licensing Act (CCLA) establishes provincial control over the sale, supply and possession of non-medical cannabis and establishes licensing of private cannabis retailers, including registration and training requirements for those who will work in cannabis retail. The Act also outlines restrictions on the possession, personal cultivation and consumption of cannabis by adults and prohibitions for minors. In addition, the Act includes an extensive compliance and enforcement regime to ensure legalization of non-medical cannabis prioritizes public health and safety. To ensure the Province is prepared for the federal legalization of non-medical cannabis, the proposed Cannabis Distribution Act (CDA) will establish the Province’s exclusive jurisdiction over wholesale distribution of cannabis and provide authority for public retail sales. • Public (government-run) retail sales, both in stores and online. There are no paid plasma collection clinics operating in B.C. 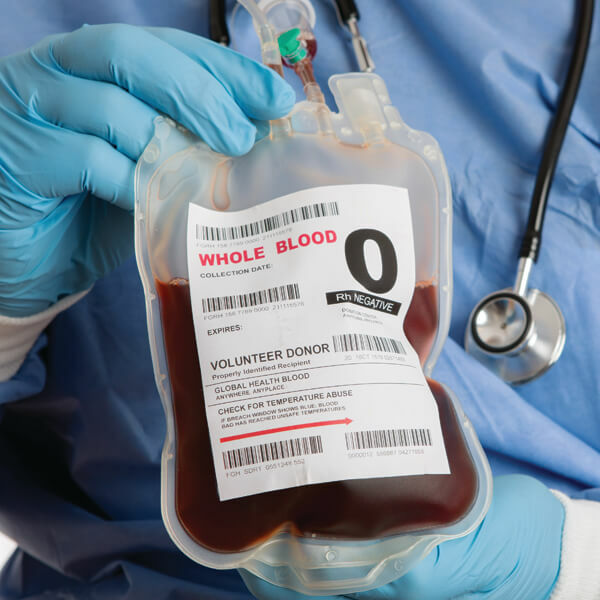 and the Voluntary Blood Donations Act is meant to prevent such operations from being established by making it illegal to pay, offer to pay, or advertise that they will pay someone for blood or plasma illegal. This is like legislation in Alberta, Ontario and Québec. Currently in Canada, there are private for-profit organizations paying individuals for plasma and then selling that plasma on the global market. By preventing these businesses from operating in B.C., it makes sure that blood and plasma collected in B.C. stays as part of the national supply system run by Canadian Blood Services (CBS). As the national blood and plasma supplier, CBS is exempt from the legislation as are the provincial government and medical researchers. Families from across the province are suffering the profound grief of losing a child, a husband, a friend, to a poisoned illegal drug supply. Police have asked for more control and monitoring of who has use of pill presses. The Pill Press and Related Equipment Control Act will help police get counterfeit pills off the streets and disrupt the activities of drug traffickers. This initiative is part of a broader scheme of initiatives intended to support and enhance the ability of law enforcement to address the fentanyl crisis. Indigenous children, like all children, deserve to grow up in safe, loving homes, connected to their community and culture. Amendments to the Child, Family and Community Service Act will reduce the over-representation of Indigenous children in the child-welfare system by working with Indigenous communities as we move towards meaningful and lasting Reconciliation. The changes to the Act are one of many ways we are listening to, and working with, the Indigenous communities to reform the child-welfare system. As the B.C. government works to increase the affordability and availability of housing in British Columbia, we know that making good decisions about our housing needs starts with having good information. 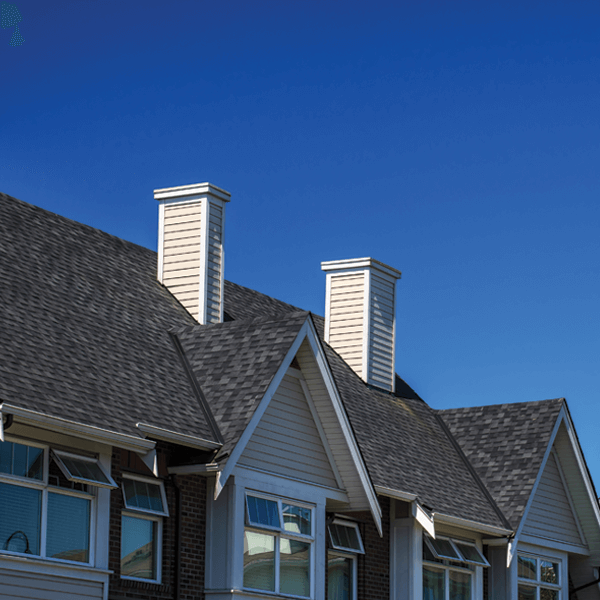 The Local Government Statutes Amendment Act requires B.C.’s 189 local governments to collect information about the housing needs of people living in their communities. Supported by funding from the B.C. government, municipalities will prepare housing needs data reports every five years. Ultimately, this will help deliver the types of housing that British Columbians need. Finding and keeping an affordable place to rent is a challenge for too many people in British Columbia where we currently have extremely low vacancy rates. The Local Government Statutes Amendment Act will give local governments the authority to limit the allowable use of land to rental housing through a new rental zoning tool. The new zoning authority will also allow local governments to ensure existing rentals cannot be redeveloped for a non-rental use. 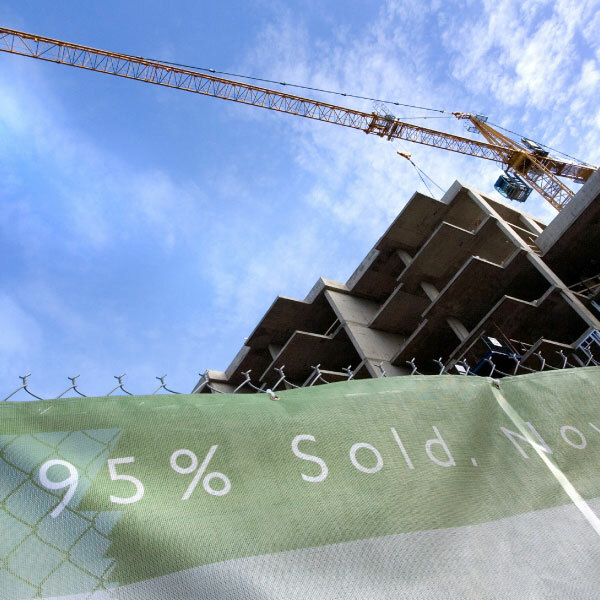 Right now, it is too easy for people to resell pre-sale condo contracts without reporting their capital gains. To close this loophole our government is taking action to require developers to collect and report information on their pre-sale condo contract assignments. By tracking contract assignments we will be able to make sure people are paying their fair share of taxes. This is one part of our government’s 30-Point Housing Plan. For owners of manufactured homes, the Tenancy Statutes Amendment Act increases the minimum compensation to $20,000 for those forced to leave a manufactured home park that is closing, and allows for tenants to receive compensation for the full cost of their homes if they cannot be moved. It also removes the burden of disposal costs from manufactured home owners for homes that cannot be moved, and increases compensation for tenants who are asked to move in bad faith. For renters, the Tenancy Statutes Amendment Act increases the minimum notice for eviction due to renovations and demolitions from 2 to 4 months, doubles the amount of time tenants have to dispute a notice to 30 days, and increases penalties to 12 months of rent for landlords who evict in bad faith. It also gives tenants the right to return to their unit at market rental rates in new and renovated homes in multi-unit buildings. Medical Services Plan (MSP) pays for medically required services provided to British Columbians, and the Medicare Protection Act sets rules surrounding the billing for services provided by physicians and certain other health-care practitioners who are enrolled in the plan. 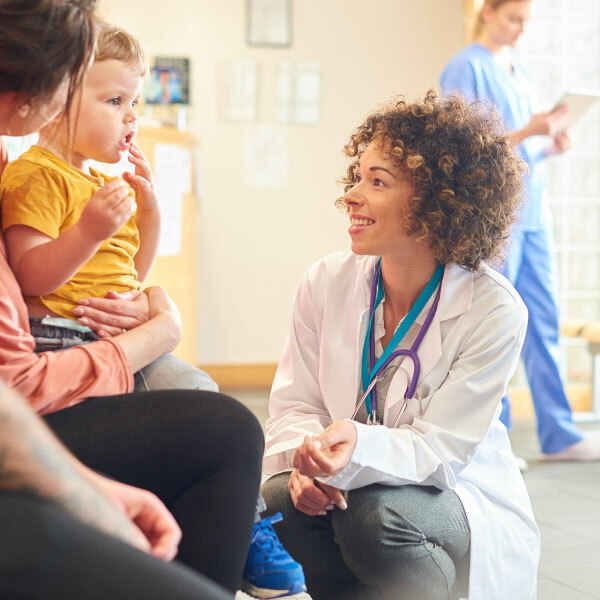 Enforcing the Medicare Protection Amendment Act does not stop the current practice of health authorities partnering with private providers or private clinics, as long as the services are publicly funded, and patients are not required to pay out of pocket. 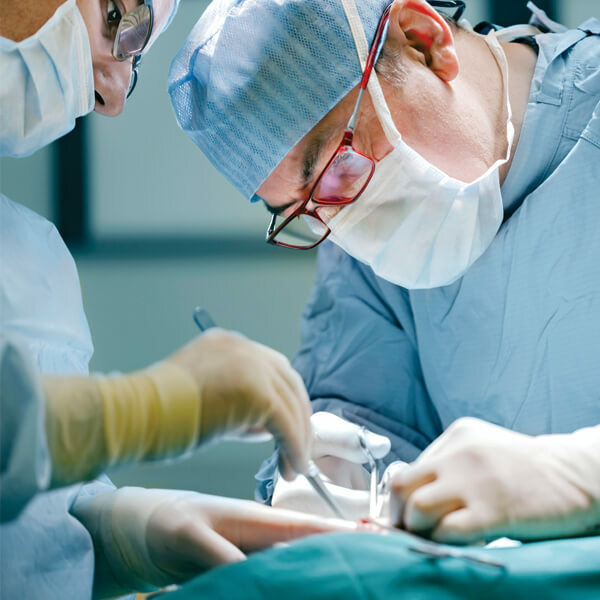 As well, these changes do not prevent patients from choosing to pay for services, such as cosmetic procedures, that are not medically necessary MSP benefits. No one should face the loss of their job because they are mourning the death of a child or caring for their terminally ill parent. Changes to the Employment Standards Act will protect workers who are facing family tragedies and give parents access to extended and more flexible maternity and parental leaves. 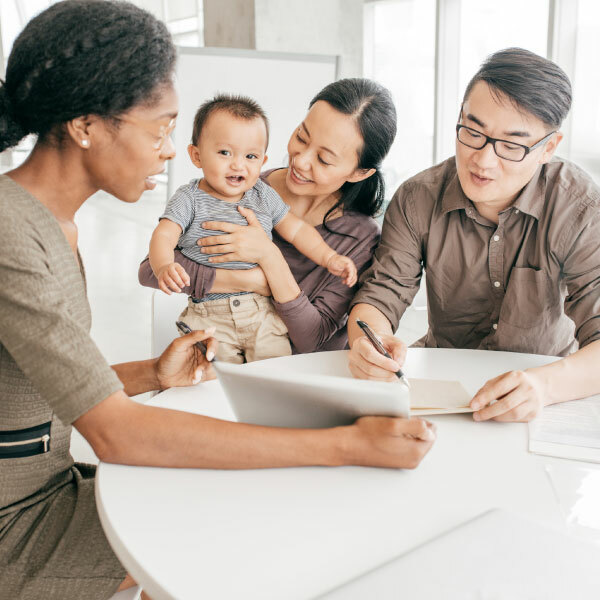 New parents will have the option to take a longer unpaid parental leave to care for their new child — up to 18 months of leave for birth parents — without worrying about losing their jobs. These changes will also allow a mother to start their pregnancy leave, also known as maternity leave, as early as 13 weeks before the expected birth date, up from the current 11 weeks. Currently, there is no provision in BC for parents to take a leave from work in the event their child under 19 goes missing. These changes will give parents of children who go missing because of a crime access to a new unpaid, job-protected leave of up to 52 weeks. Parents will also be able to access to up to 104 weeks of leave if one of their children under age 19 dies under any circumstances. 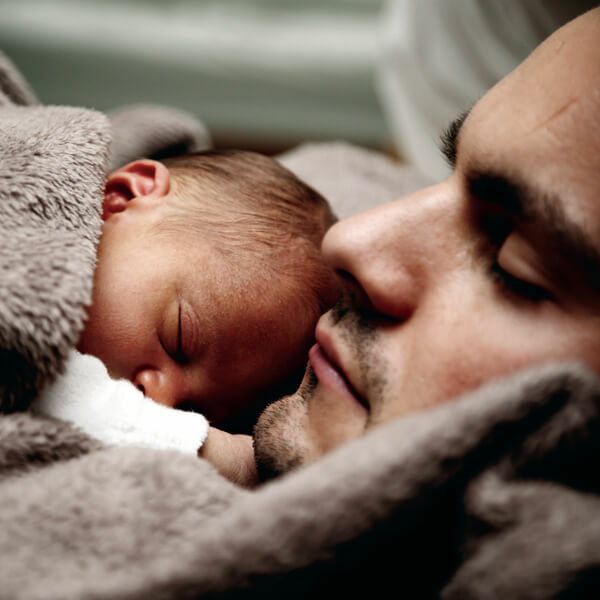 The current standard of 3 days of unpaid ‘bereavement’ leave forces many parents to return to work before they are ready. Further, the amendments to compassionate care leave will more than triple the length of leave, from eight weeks to 27 weeks, available to an employee to care for a family member who is terminally ill. The Workers Compensation Act gives all workers access to compensation for mental health issues caused by their work, including PTSD. However, it currently requires medical and/or scientific evidence to be provided to establish that their condition arose directly from their employment. 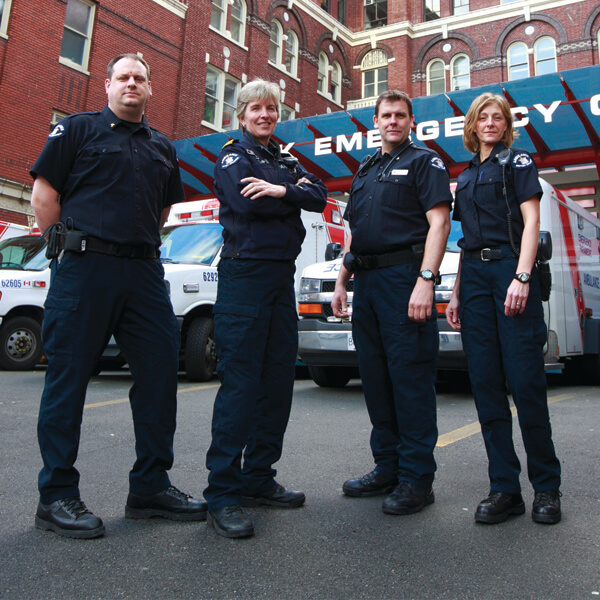 These changes allow first responders – firefighters, police, paramedics, sheriffs and correctional officers to have their illness, when diagnosed by a psychiatrist or psychologist, accepted as a work-related reaction to one or more traumatic events based on the nature of their work, without the need to prove or provide evidence. These changes are a first step towards providing more support to workers who are first on the scene at challenging and sometimes dangerous and traumatic situations. 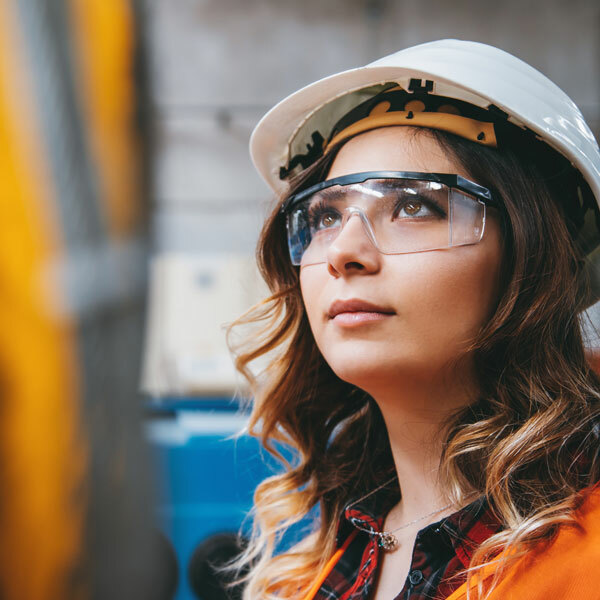 Government will consider, over time, expanding presumptions to other types of workers who experience traumatic events at work, as well as continuing to focus on overall workplace safety. The amendments will also expand existing cancer presumptions to federal firefighters employed on military bases. Federal firefighters currently qualify for the heart disease and injury presumptions, but the cancer presumptions have been limited to local government firefighters. This change recognizes that firefighters from military bases may also be exposed to dangerous substances during structural fires, and frequently assist municipalities at off-base incidents. 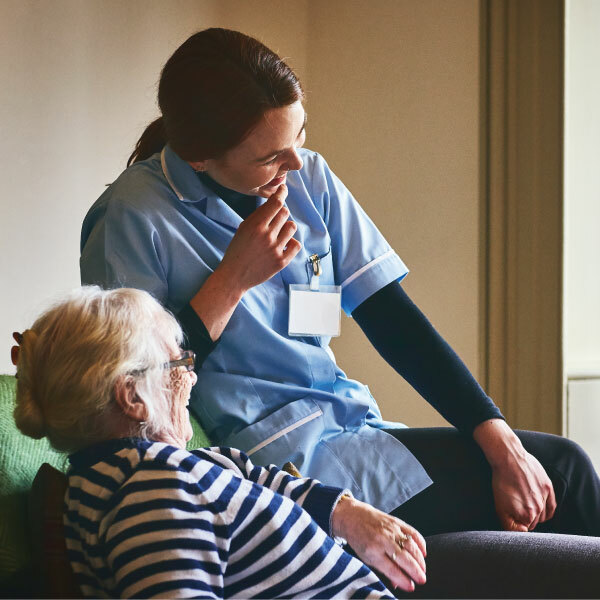 Information on care facilities can be difficult to find, and a family may not know if there have been any substantiated investigations or complaints about the location or operator. Changes to the Community Care and Assisted Living Act will make sure that information on licensed facilities, as well as unlicensed facilities operating outside the act, is posted at an easily accessible location online, and that information is consistent throughout all regions of the province. Information available will include summaries of inspection reports, as well as summaries of substantiated complaints. 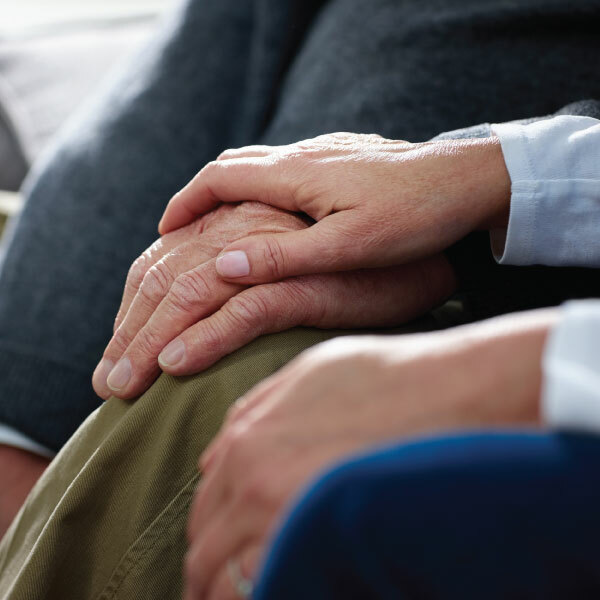 The act also oversees the registration of assisted living residences, such as homes for adults, which offer some support with day-to-day needs, while allowing people to retain their independence. Amendments will improve the restoration of orphan wells in British Columbia and better protect the province’s land and water. 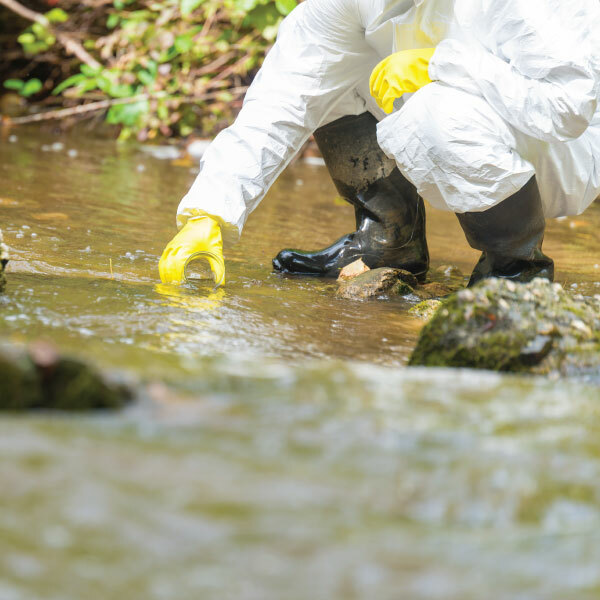 A key aspect of Bill 15 includes the introduction of a levy to support B.C.’s Orphan Site Reclamation Fund – an industry-funded program that addresses the cost of restoration and environmental clean-up. The first amendment will allow ICBC to cancel the driver’s licence of a person with substantial arrears, creating the possibility of immediate consequences for non-payment. Currently, FMEP can instruct ICBC to refuse to issue or renew a driver’s licence only at the time of renewal. This change will improve the effectiveness of child and spousal support enforcement by taking immediate action against those with more than $3,000 in arrears, encouraging negotiation to resolve payment arrangements. The Securities Act amendments will enable the investment industry, under the authority of the British Columbia Securities Commission, and other members of the Canadian Securities Administrators to hold wrongdoers accountable and provide British Columbians with greater confidence to invest. 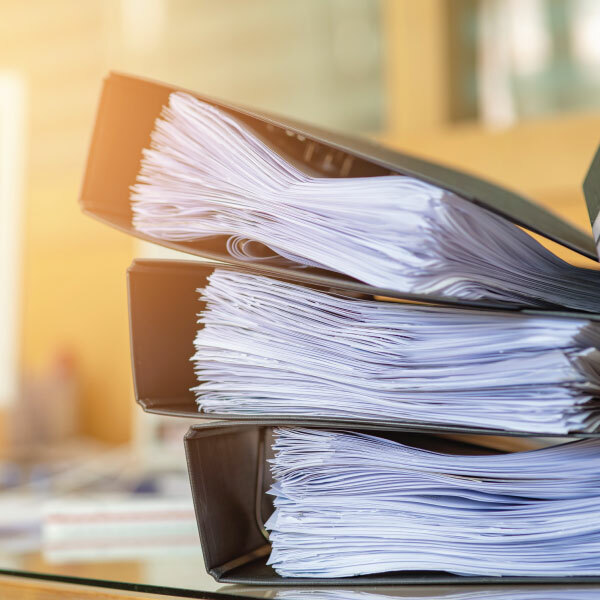 The amendments to the Securities Act will give IIROC and the MFDA the ability to file decisions directly with a court of law. Filing in court means that they will be able to pursue outstanding fines, and order a person to comply with decisions, made by these national self-regulatory organizations. While just-cause dismissals are not common in the public service, we want to ensure that when they do occur, there are checks and balances in place. •	Publicly reporting the aggregate results of these reviews and, where necessary, providing recommendations to strengthen just-cause termination processes. In recent years, the College of Registered Psychiatric Nurses of BC, College of Licensed Practical Nurses of BC and College of Registered Nurses of B.C. have been working together on nursing regulations and standards, and have become more aligned in their efforts. This legislation lets them take the next step and amalgamate. The International Commercial Arbitration Amendments will improve access to justice, attract international arbitration proceedings and encourage economic benefits associated with increased hearings and conferences. This legislation will help position Vancouver as an ideal location to host international commercial arbitration proceedings. The amendments would also bolster Vancouver’s competitiveness in bidding on an opportunity to host the 2022 International Council for Commercial Arbitration Congress.